Leadership change often follows institutional failure. We assess reform language, offered by the nation’s latest Secretary of Veterans Affairs. It values change in organizational culture. Primary care physician, Dr. Phyllis Hollenbeck, exposed the VA for delays in delivering substandard care, which led to unnecessary deaths among veterans. As with Portland’s errant police, a Federal investigation ensued. Sadly, a considerable portion of those who’ve been victims of illegal use of force here … have been veterans. Obama brought in Robert A. McDonald, as Secretary of Veterans Affairs. A hundred days into his reform efforts, this New York Times reporting caught our attention … for McDonald’s plans on “changing the culture of an agency that is still trying to recover from the scandal” (italics ours). Consult Hardesty has long sought a culture change agent, to oversee police reform in Portland. Contrast the Secretary’s initial premise – that he’d entered into a crisis situation – with Portland’s proclivity for delay and faking as if reform has already been accomplished. The moment the DoJ announced their Findings, then-Mayor Adams contended the police bureau had already begun making required changes. To counter community opposition last week, to a City plan to evade judicial oversight of reform, current Mayor Hales brandished Chief Reese’s 2013 ‘Action Item Matrix List‘ of completed tasks. Never vetted by anyone (likely even by Hales, who might – as Police Commissioner – be expected to manage change), it’s a task avoidance strategy to signal the work is nearly done … months before the plea deal orders the City to establish a Community Oversight Advisory Board. Continuing to take leadership from police, Mayor Hales – without public discussion – allowed Chief Reese his pension … and last month promoted new leadership, groomed from within PPB’s deficient culture. Hales has been swapping commendations for discipline records in police files. Instead of abandoning arbitration features which have prevented every attempt by City Council to fire a police officer, Hales re-negotiated the features in a four year extension of our contract with the Portland Police Association. Culture change agents might emerge from the ranks of a discredited police bureau … or the community it’s sworn to serve. You may compare this policy with the City’s legal pressure to terminate the career of PPB Trainee Lindsay Hunt (here). The Road to Veterans Day presented a mission-driven, timeline-based path. We find almost uncanny the parallels with local conditions. Portland City Council remains unwilling to open PPB’s Training Advisory Council to any but hand-picked appointments … all are immersed in current police culture. Local authority has refused to address span-of-control deficiencies and rubber-stamped budget overruns which include outrageously bloated salaries. No corporate manager would countenance the City’s refusal to systemically evaluate officer performance. “At West Point I also learned to ‘choose the harder right instead of the easier wrong,'” he reported, prior to his present government role. Portland City Council’s legal challenge to judicial oversight is an extension of long held policies to either outright exclude public involvement (behind-the-scenes negotiations), or create fake channels to deflect community aspirations (police-centric advisory boards, simulated review authority, relying on police in community liaison roles and screening participation in a police community review board). Given that Portland is mired in racial profiling, we found it heartening that a reformer would arise with such cogent values for diversity and collaboration. We contend that justice in Portland requires leadership conversant with values, proficient in tactics for dismantling under-performing, self-reinforcing culture. When such leadership draws from what has become a widespread, community-based body of knowledge, we’ll be on our way. The larger parallel is that veterans lack access to care. 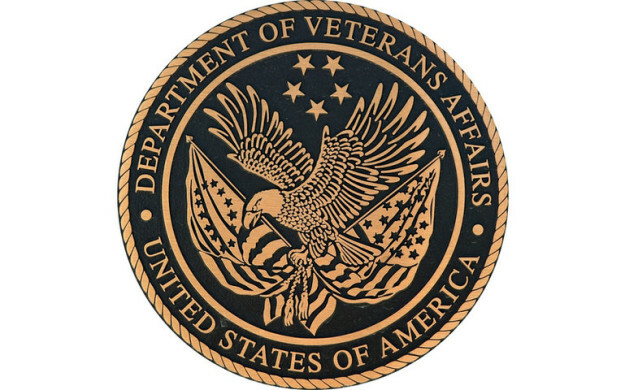 After a necessary shift in values by local authority, we’ll likely learn from the VA’s commitment to funding facilities and staffing.